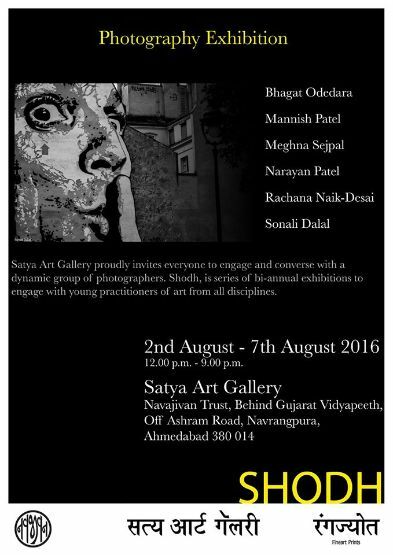 Satya Art Gallery proudly invites everyone to engage and converse with a dynamic group of photographers. Shodh is a series of bi-annual exhibitions hosted by Satya Art Gallery to engage with young practitioners of art from all disciplines. The exhibition shall display photographs by Bhagat Odedara, Mannish Patel, Meghna Divyesh Sejpal, Narayan Patel,Rachana Ashesh Desai and Sonali Dalal.